With a wide range of eye conditions affecting those over 40, it is difficult to keep them all straight. Dr. Andrea Joplin and Dr. Mitchell Gossman of Eye Associates of Central Minnesota talked with us recently about some of these common conditions. One condition that many have heard of, but are maybe not as familiar with is Glaucoma. Glaucoma is a disease of the optic nerve usually associated with high pressure in the eye. Glaucoma can be serious and cause vision loss. Many may not know it is developing until it is far advanced to where it will begin causing vision loss. It can also be potentially blinding if not diagnosed and treated. It is important to attend your annual eye exams as this condition is typically diagnosed during such an evaluation. Treatment of Glaucoma focuses on lowering pressure of the eye to prevent the progression of vision loss. Drops, surgeries, and lasers are all different treatments of Glaucoma. There is also a new surgical treatment called MicroPulse Laser Trabeculoplasty (MLT). It is an intermediate step between drugs and traditional glaucoma surgery. It could be a great option for those who have tried other treatments but do not need such invasive surgery. 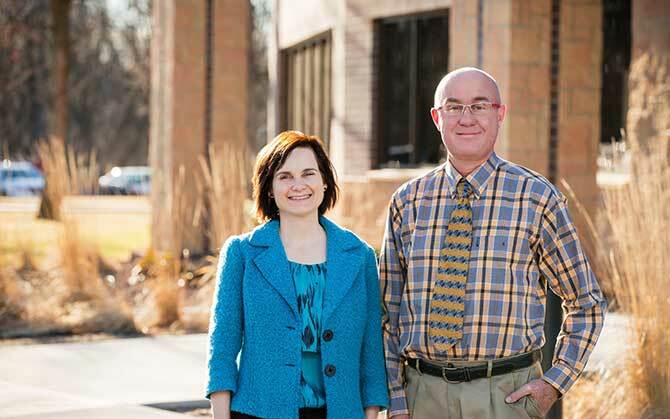 Dr. Gossman and Dr. Joplin are excited to be able to offer the treatment to their patients. Another common eye condition is Astigmatism. It is a type of refractive error in the eye which causes the eye to become out of focus. Essentially, the eyeball is meant to be perfectly round so light can evenly disperse around it. When the eyeball is not quite rounded, the light gets bent more in one direction than the other causing blurry or wavy vision. Those with astigmatism have many options to focus the eye back into place. Glasses, contacts, laser vision corrective surgery like LASIK or an incision in the cornea are all common treatments. If a patient has cataracts and is opting for cataract surgery, the new lens implant can also include correction for astigmatism. This surgery is performed by the doctors at the St. Cloud Surgical Center. Certainly the most common of the three conditions is presbyopia. Nearly everyone will have the condition once they reach their 50s. It is simply a part of the aging process. As Dr. Gossman joked, “Death, Taxes, and Presbyopia”. As patients grow older, the natural lens of the eye loses elasticity and the ability to focus up close. This is the reason many in their 40s start to utilize reading glasses. Another option for treatment is a bifocal or contact lenses. It can also be treated at the same time as cataract surgery similar to astigmatism. Although it is a universal condition by the age of 50, Dr. Joplin describes some tips for eye health as you age. “Eat well. Green leafy vegetables and carrots like your grandmother told you to do help.” She also recommends always wearing protective lenses when out in the sun. 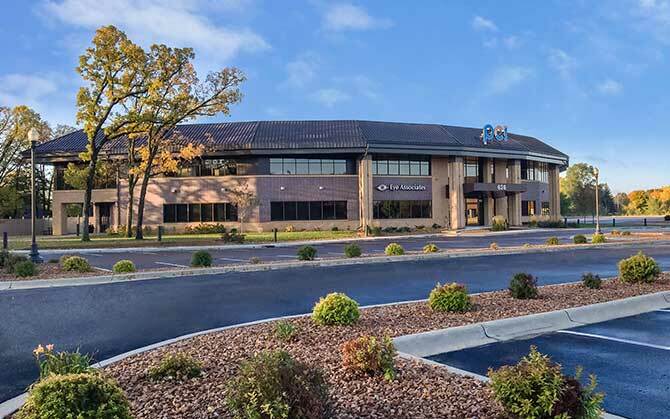 Dr. Joplin and Dr. Gossman joined forces in April of 2017 to open Eye Associates of Central Minnesota. Their specialists have over 20 years of experience in providing optimal eye care services to patients of all ages. Both doctors perform their surgical procedures at the St. Cloud Surgical Center and hold the center in high regards. Dr. Gossman expressed, “St. Cloud Surgical Center is the finest place in St. Cloud to have elective surgery.” “It is efficient and cost-effective,” Dr. Joplin added. We are thrilled to welcome Dr. Gossman to our center to discuss these conditions further and answer your questions during our free Ophthalmology seminar on September 24th, 2018.